Outrigger Phuket is perhaps one of the friendliest luxury resorts one would hope to find. 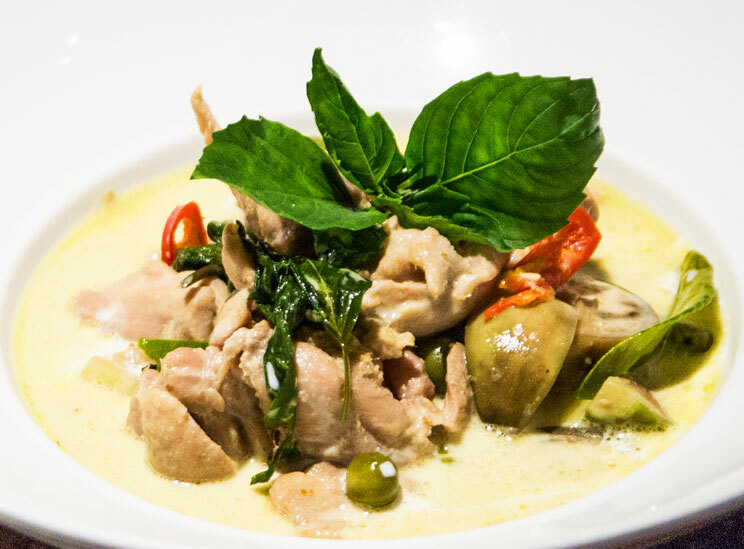 It combines both Thai hospitality and style. 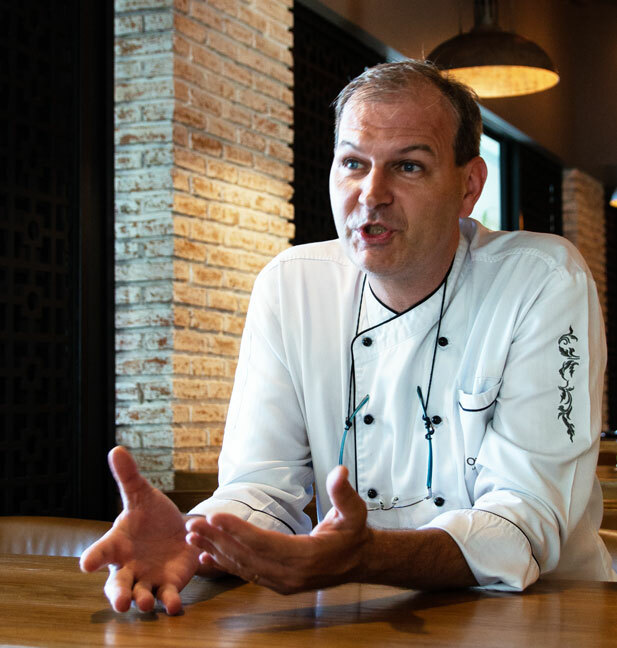 But food is often the cornerstone of any good vacation, and Outrigger Phuket Executive Chef Roberto Conrad ensures guests don’t go home disappointed. Tastes are diverse yet Chef Roberto has skilfully presented an array of restaurants and menus to appeal to all Outrigger guests. One can dine in a fine restaurant with smart and polished ambiance. Those looking for light bites are considered, and international fare and Thai cuisine are both available. Food and service are to a high standard. What are your earliest memories of food? ‘Everybody will say, “Oh, it’s my mum, or my grandmother,” but for me it was when going camping with the Scouts! Coming from a Catholic family as I did, the troop was led by a priest, who was also the cook. But the scouts have to help with the preparation, and this is where my passion for food was born. Of course, I still say that my grandmother made the best gnocchi, but I will always remember that priest who set me on the road. Have you found any particular challenges, running restaurants in Asia? ‘In Beijing it was a big shock to arrive in a country that was just opening up to the world. At the time the produce was rather poor, and it was very difficult to be a cook, having to work with what was available. But over the five years I worked for the Peninsular Group things improved dramatically, and now the standards in the hotel industry in China are very high, and Chinese chefs are very good. ‘Each country has its own challenges, and its own beauty, but we have to remember that we are guests in these countries, and it is we who must adapt, rather than vice versa. If you have this mentality, there’s no problem. 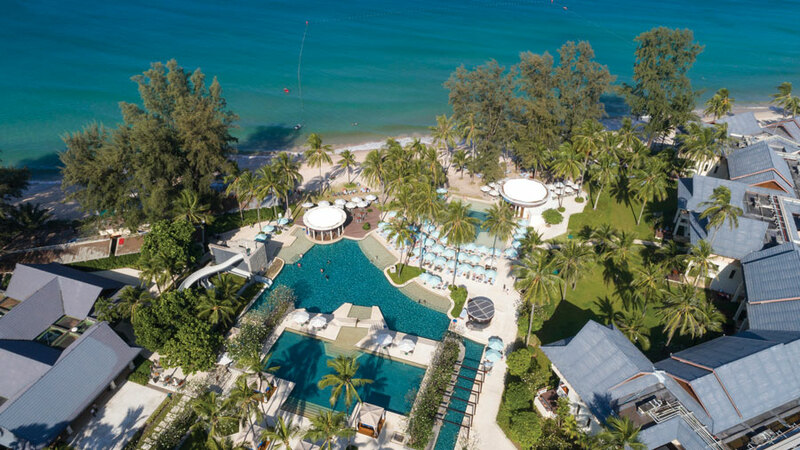 Is the Outrigger Resort your first hotel in Thailand? ‘No, I had previously opened the Kempinski Hotel in Bangkok eight years ago, and before that the Plaza Athénée, now the Royal Meridien Hotel. So I was familiar with Thailand before I came to Phuket. ‘I was lucky enough to be able to hire the staff I needed, and the young people are very keen to follow and learn. One of the challenges for them is the English language, and I hope that they realise that the opportunities for Thai chefs are out there, internationally, if they can speak English. Does your menu change periodically? ‘It has changed a lot since we opened five years ago. In fact we change it about three times a year, and there is more and more demand for gluten-free, vegetarian and vegan meals. Indian guests expect to be able to order vegetarian food, and this can present challenges to us. The demand for gluten-free food generally comes from the US guests, and to some extent this is ‘à la mode’ right now. We try our best, but it can be difficult to provide in restaurants like ours. However, we do have gluten-free breads, cookies, pancakes, pasta, to accommodate those tastes. ‘So we try to respect the produce as much as we can, and work with local products as much as we can. We don’t have local beef here, and we buy from the US and Australia, but for instance our chicken is organic and comes from certificated local suppliers, and we try to support the local economy. Some things have to be imported, but these days that’s easy to do. ‘In the high season, our Western guests like to eat outside, on the beach, so we have a Thai Night, a Beach Barbecue, Seafood Night, Lobster Night, and a Pasta Night. 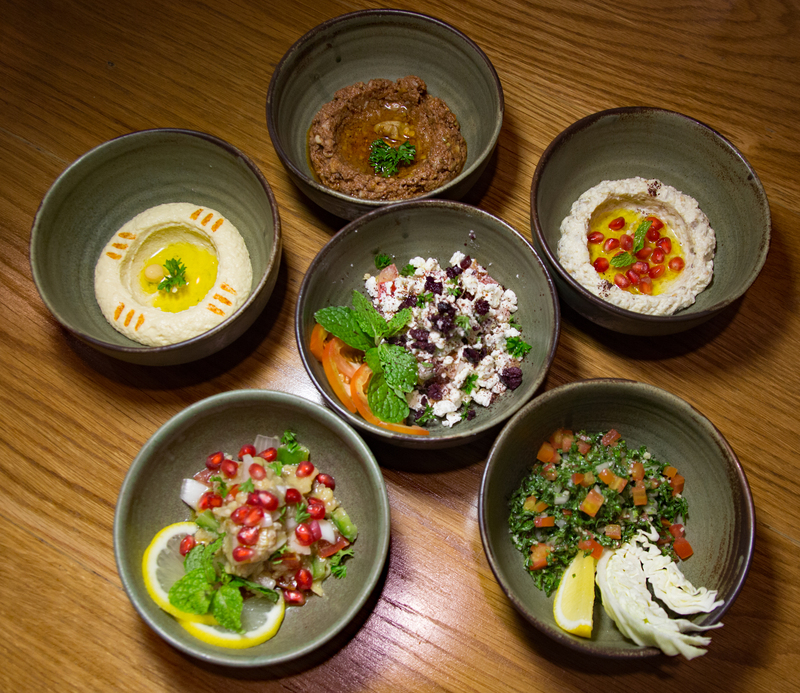 I don’t believe in ‘signature dishes’ – why would one dish be better than another? As a chef you should be proud of all your dishes. Of course, some dishes are more popular than others – for example in Locavore the most popular are a Salad, a Club Sandwich, and a Cheeseburger! Chef Roberto Conrad is at the culinary helm of Outrigger Phuket and his attention to quality and detail ensures the continued reputation of this luxury resort.